Item # 299742 Stash Points: 2,495 (?) This is the number of points you get in The Zumiez Stash for purchasing this item. Stash points are redeemable for exclusive rewards only available to Zumiez Stash members. To redeem your points check out the rewards catalog on thestash.zumiez.com. 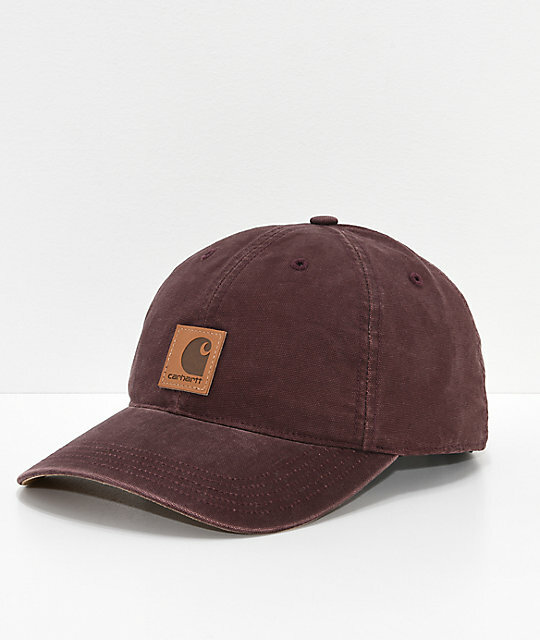 The Carhartt Odessa cap featured in a deep wine colorway keeps things simple while adding extra flavor to your daily outfits. 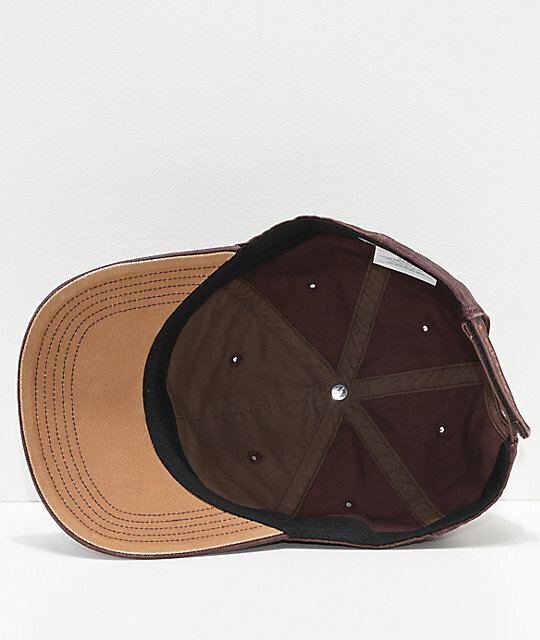 This hat features Carhartt logo brand patch at the front, Carhartt's Force sweatband on the inside to keep you nice and cool, and an adjustable hook and loop fastener for a snug custom fit. 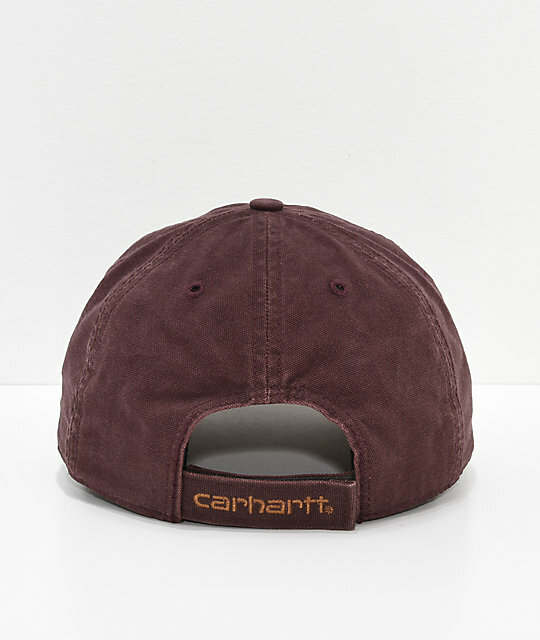 Odessa Deep Wine Cap from Carhartt. Synthetic leather logo patch on the front. Force sweatband on the inside with FastDry technology. Adjustable hook and loop fastener sizing piece for a custom fit.